The “ultrabook” marketplace is the next big laptop market to show some serious competition but all of them, regardless of the company manufacturing them, are all trying to compete against the king of the unltrbooks- Apple’s MacBook Air. Today HP has unveiled its offering in this arena with the HP Folio which is priced at $900 and is expected to actually hit the shelves in time for the Christmas buying season. 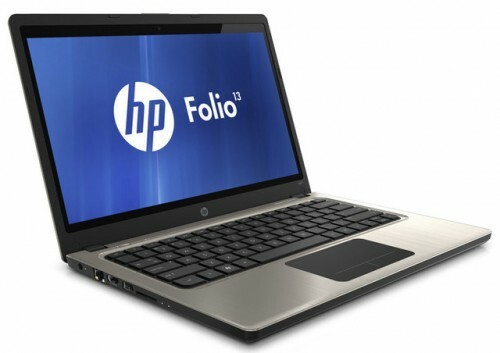 According to HP the Folio is being targeted to businesses with a battery life of nine hours being a major selling point. “This category of product breaks new ground and will be a likely choice for businesses to offer to employees looking for a more consumer-centric experience,” said IDC chief research officer Crawford Del Prete. “We expect Ultrabooks will re-ignite interest in the small form factor PC category, and by 2015 expect 95 million Ultrabooks will be shipping worldwide annually,” the industry analyst said. The Folio will ship with Microsoft’s Windows 7 operating system installed.